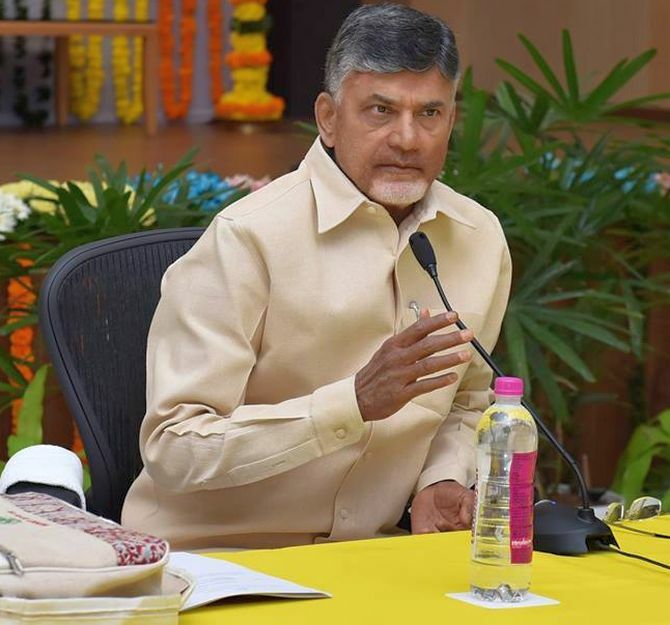 Andhra Pradesh chief minister and Telugu Desam Party chief N Chandrababu Naidu said on Thursday that an opposition alternative to the Bharatiya Janata Party-led National Democratic Alliance will emerge ‘automatically’ even without its prime ministerial face being declared for the 2019 Lok Sabha elections. Naidu, a former BJP ally who quit the NDA early this year over the Centre's refusal to grant special status to Andhra Pradesh, also offered to play a ‘pivotal’ role to bring all the opposition parties together to forge a united front. “An alternative (front) will emerge automatically. People are angry with the Modi government and they will choose an alternative,” Naidu, 68, told PTI in an exclusive interview. Naidu also felt non-selection of a prime ministerial candidate by an opposition front ahead of the 2019 Lok Sabha polls will not hurt its prospects. "I do not visualise any problem if the PM candidate of the opposition front is not decided before the polls." "As a responsible citizen, I will work out (an alternative). Definitely I will play my role as a responsible citizen. We will be instrumental in bringing all parties together who are keen to work in the interest of the nation," Naidu said. He said discussions are still going on with various parties over forging an opposition alliance. “Recently, I met Karnataka chief minister of Janata Dal-Secular. We are discussing with other parties as well,” he said but did not give details. Stating that political alliances are not stitched overnight, Naidu said even in the past, pre-poll and post-poll alliances took place in ‘a different situation and in different times’. "No one could predict a prime ministerial candidate in some past situations." He felt the choice of the prime ministerial candidate will depend on various circumstances. At the same time, he said it will not be prudent to declare the candidate before the polls as sometimes the plans to forge an opposition alliance could get sabotaged. "Whoever emerges as consensus will be the one. If there is a consensus before the poll, it is great," he said. Asked if he is in the race for the prime ministerial post, Naidu said, "I will never go to the Centre. I have never been an aspirant for any post or for any role at the Centre." Asked how an alternative opposition front plans to defeat the BJP in the Lok Sabha polls, Naidu said, "I have been in the politics for the last 40 years. I became chief minister in 1995 and worked in the NDA and UPA (United Progressive Alliance). I have seen it all. "The situation has never been so bad. The country is in a miserable state now. This government has failed in its duty towards people. They will choose an alternative." Claiming that the Modi government has become very unpopular, Naidu said there is lot of anger against its policies. "Every citizen has suffered. The government was unable to meet public expectations. The election promises have not been delivered yet," he said. "I also expected a lot from Modi like every citizen. Talking is different, delivering is important. I feel anything will be better that what has happened in the last four-and-a-half years," Naidu said. Attacking the government over the poor shape of economy and rising fuel prices, he said, "A message has gone around that the Indian economy has become weak." "Demonetisation was a big flop and its outcome was negative. The government has done nothing to get back black money. People have no confidence in banks. Those who committed frauds have left the country," he said. "Fuel rates have gone up, rupee is depreciating and imports have become costly. The government is doing nothing. You are not handling farmers' issues properly," he added. Naidu said that on one hand, prices have fallen and you don't purchase at the Minimum Support Price (MSP) while on the other hand hand, untimely import and export policies have aggravated the farmers' crisis. "Therefore, farmers have hit the streets." On the Rafale jet fighter deal with France, Naidu demanded that the prime minister clear the air in the light of allegations against the government. "Former French president Francois Hollande has made it clear. It is the responsibility of the PM to tell people. The government should immediately clarify to the public whenever there is confusion. Then only you will gain the trust of the public," he added. Naidu also made a strong case for creating healthy competition among states and promoting cooperative federalism. "In true spirit, nation is important and for that building all states and giving helping hand to them is a must," he added. Can united Opposition defeat Modi in 2019?